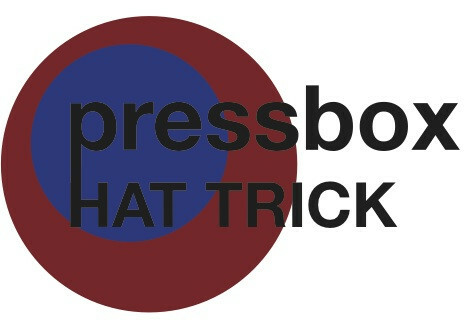 Julian McKenzie, Tristan D’Amours and Vince Morello talk Montreal Impact, the Habs, and struggle to use Periscope on a brand new episode of Pressbox Hat Trick! Julian McKenzie, Tristan D’Amours and Vince Morello tackle the Mayweather-Pacquiao fight, the Montreal Impact’s CCL final versus Copa America and UFC’s Jon ‘Bones’ Jones’s latest troubles. Special guest: Patrick Mocella. The Pressbox welcomes contributor and UFC fanatic Patrick Mocella to the show in advance of UFC 186 in Montreal. Julian McKenzie, Vince Morello and Tristan d’Amours give their predictions for the 2015 Stanley Cup Playoffs, discuss recent job vacancies in the NHL, and grade each of the Concordia Stingers teams. The Dynamic Duo of the East End, Vince Morello and Tristan d’Amours go at it on the ninth edition of the podcast. Julian McKenzie is absent, for some reason, and of course he gets made fun of.